In my office Shawna is definitely the princess - if its sparkly (or Disney themed) she loves it. When it comes to heels, the higher the heel the better. 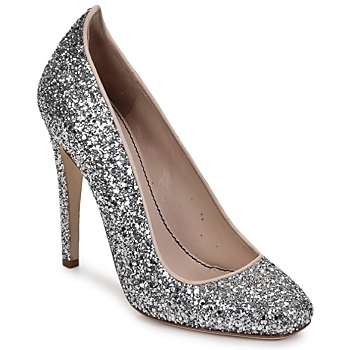 Put sparkle and height into a shoe and what do you get... the Aizza Glitter heel. Jerome C. Rousseau isn't a brand I'm familiar with but if you're looking for girly glam shoes Big J is the man. For some reason looking at these heels remind me of the red glitter bathbomb from Lush you get at Christmas (apologies for mentioning the C word in Summer). What are your thoughts on glittery shoes - are they only suitable for "that" time of year, or can they be worn all year round?